Police Officer Antwan Toney was shot and killed as he and another officer investigated reports of a suspicious vehicle near the intersection of Bethany Church Road and Shiloh Road at approximately 3:00 pm. As the officers approached the vehicle at least one person inside opened fire, shooting through the vehicle’s windows. Officer Toney was struck as he and the other officer returned fire. The vehicle crashed a short distance away and its four occupants fled on foot. One of the suspects was apprehended later in the afternoon after shooting at an officer who was searching for him. The subject believed to have been the one to shoot Officer Toney was shot and killed on October 22nd, 2018, after being located hiding in a shed in the Snellville area. He was shot after refusing to obey commands while armed with a lawnmower blade. 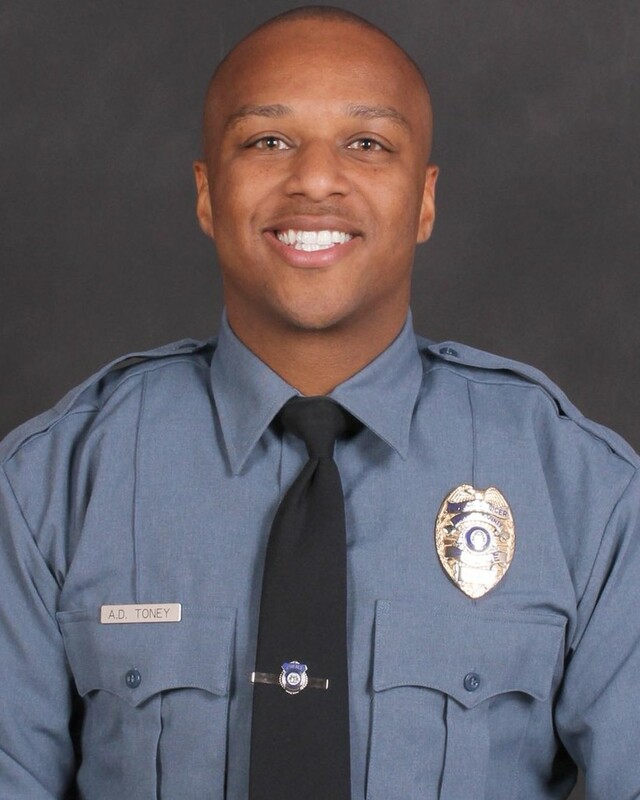 Officer Toney was transported to Gwinnett Medical Center where he succumbed to his wounds. Officer Toney had served with the Gwinnett County Police Department for three years.